Busy lives with changeable weather and cold fronts hanging around the corner we need to make sure we get all the vitamins to ward off the sneezes and other fly symptoms. 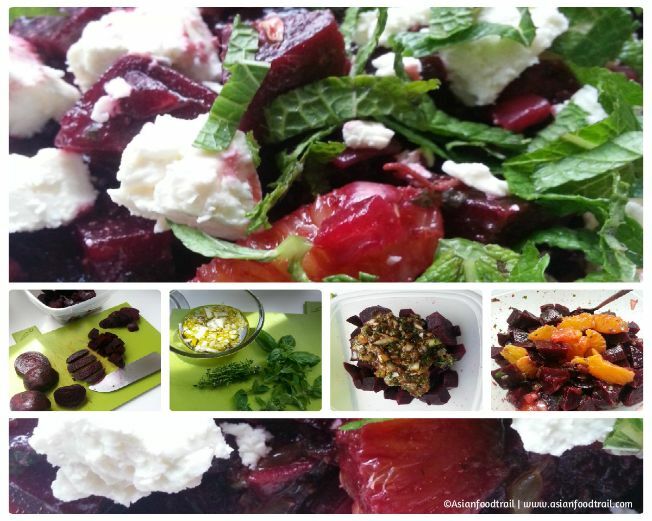 Need to go out to buy groceries and re-stock our fruit basket, with the sun rays shining into the kitchen, what better invitation do you need to make the following Citrus supercharger. 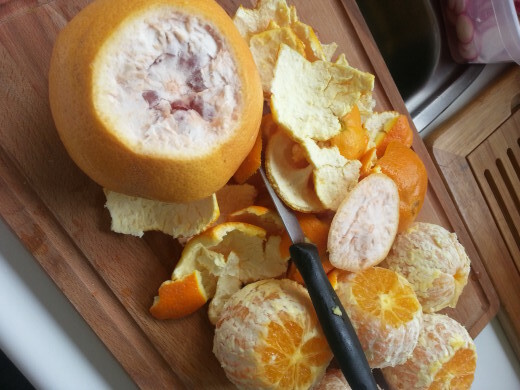 The Citrus boost mix consist of four ingredients, with the grapefruit and oranges it quadruples the amount of many minerals and vitamins, both juices provide a significant amount of three vitamins and flavonoids. Citrus fruits are the sole source of a group of flavonoids called flavanones that functions as antioxidants. 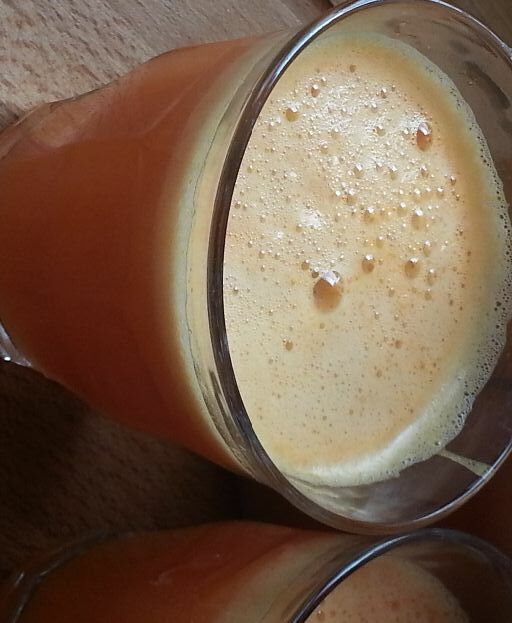 Carrots are another excellent source of vitamins and beta-carotene ( antioxidant) gives carrots their bright orange color and makes this drink sure look even more vibrant. Ginger has many benefits, such as anti-inflammatory qualities relieving swelling and pain, it also eases headaches, sore throats, helps fighting against cold and flu symptoms. Besides nutritional value it adds a nice zing to the Fruit Juice and deepens the flavor, for beginners start with smaller amount to balance the taste result to your palate or liking. 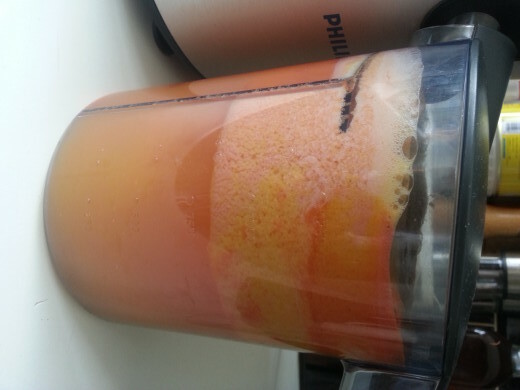 Cleaning of fruits is a must, but with our Philips Fruit Juicer HR 1861 there is no need for cutting up in smaller pieces it all goes down the wide-mouth feeder. We have this model for several years now, I purchased the juicer while living in Singapore years back and it has been in use and moving with us. There is a beautiful new model HR1871/OO 800 watt out, which is more compact and technical an upgrade, but I am still content with the first HR1861 model performing without a glitch. 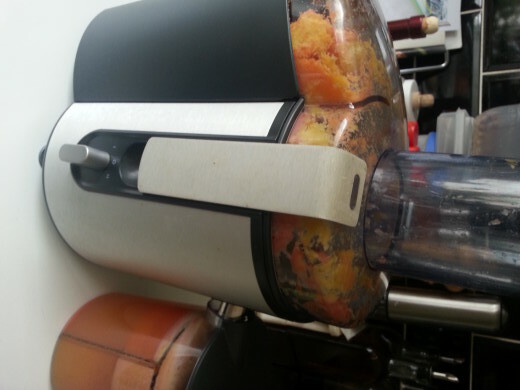 It has not let me down ever, still doing its job centrifuging all the best of fruits and vegetables into fresh juice. If you are interested you can purchase it online at Amazon.co.uk or Blokker in The Netherlands, stores and online. I’ve added the links for your convenience to check for more information. It’s a great addition in aiding a healthier lifestyle approach as well as finishing last fruits with or without vegetables in nutritional drinks made at home. 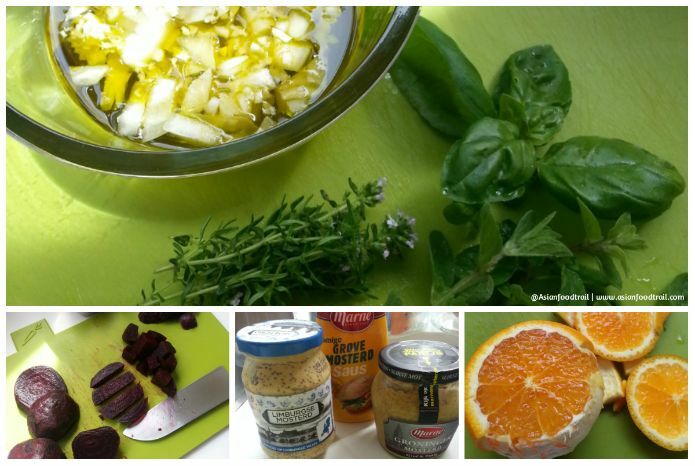 Oranges & Grapefruit, peel and remove as much pith from the fruit. Just remember to remove as much pith (white membrane covering citrus segments), especially of Grapefruits it taste of all citrus fruits very bitter, leaving even a little bit of sting on your tongue if you eat them right after only peeling the skin. 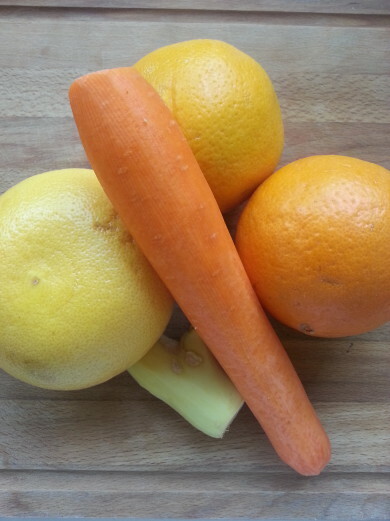 If you only mix Oranges, Grapefruits, mandarin or lemons you can easily just squeeze them but mixing it with carrots and ginger, which have a much harder consistency and impossible to squeeze by hand. A fruit juicer is a household appliance if you give it a good spot on your kitchen counter, visible next to fruit basket you will downsize on spoilage and increase intake of freshly made juices with health benefits. 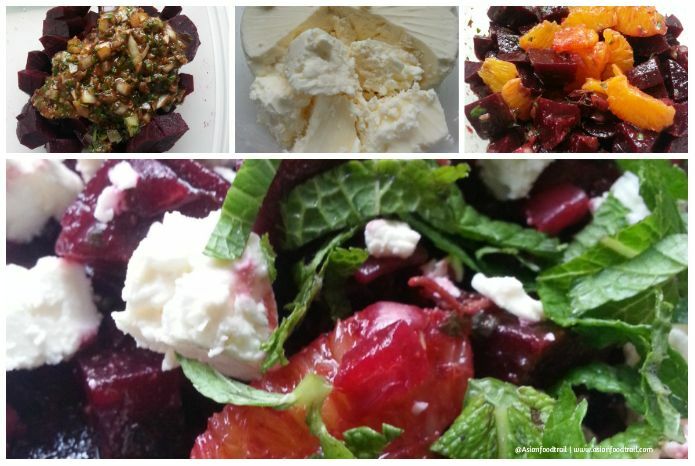 Especially when its easy to handle and to clean, give it a go and experiment with various fruit combination and become bolder with adding vegetables to the mix. Freshly juiced, the jug yields 1.250 ml of Citrus Boost! The family enjoyed this combination, tried, tested and approved 🙂 As another option next to good old Orange Juice as a change of flavor and vitamin charger. It sure does not hurt that it boost up your metabolism, wards off colds, helps with weight loss but above all “feeling good”! Wanted to make a quick bake with one of my staple frozen berries, I had none in the freezer but I did have a last punnet of fresh cranberries waiting to be used so I started making this ahead. 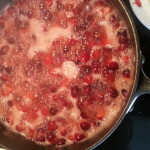 When you boil the water with sugar and adding the cranberries, you will hear a popping sound just be careful for the splatters do not squash unless you want a smooth variation or turn it into a jam or jelly. I only added one cup of sugar, but depending what you want to do with the final result and taste you can vary between 1-2 cups and add vanilla and/or cinnamon to boost even more flavour. For a Christmas dish, I have added Cointreau liquor to enhance the taste but cranberries and vodka find each other in marriage as well. 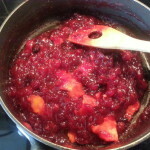 Since my AppleBerry Oatmeal bake mix already has cinnamon added I choose not to repeat in this Cranberry Orange preserves. 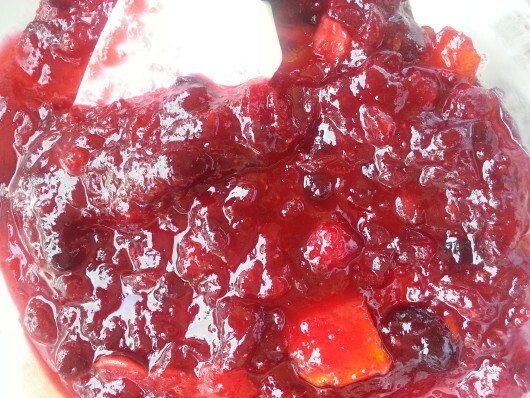 In compote, whole fruits are cooked in water with sugar and spices. 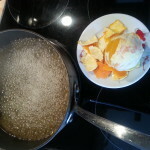 The syrup may be seasoned with vanilla, lemon or orange peel, cinnamon sticks or powder, cloves, ground almonds, grated coconut, candied fruit, or raisins. The compote is served either warm or cold. So I suppose without adding the flavourings my Cranberry Orange Filling it is a preserve and if I had added the spices it changes into a compote, whad’ya know two preparations in one. I should make it again just to fine tune the recipe, but please share your results so we can make adjustments together for a better fruit filling with multiple purposes. When you like the jam-like consistency, turn off fire and the juice of 1 orange mix. 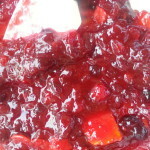 Note: You might think when tasting the final cranberry orange preserves it is too sour or tart, keep in mind that it combines flavours with the flour oatmeal bake and apples, so do not add more sugar or sweeteners it might be too much for the end result.